Reproduction in the carved wood of Our Lady of Lourdes. 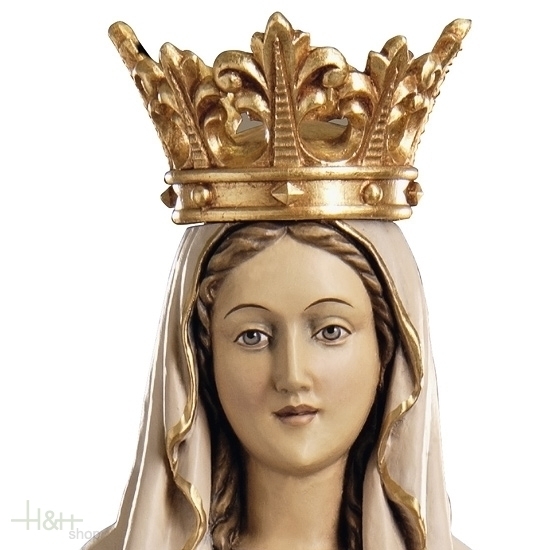 Embellish the sculpture of the Virgin the finishing of gold carried by the artist. 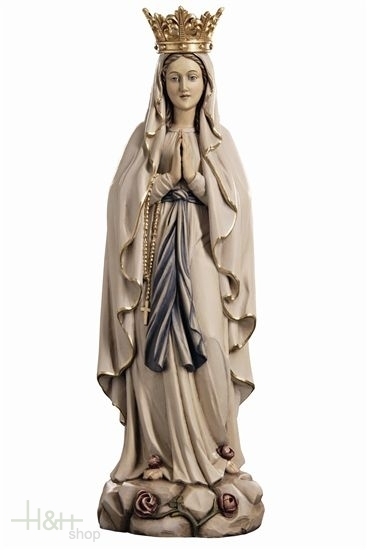 The sacred image reproduces the appearance of the Mother of God in Lourdes in the mid-century. 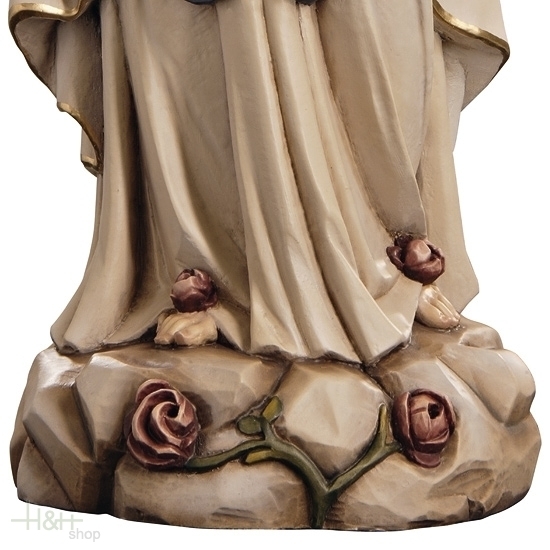 The Madonna is wood carved and painted with white dress and the waist belt in celestial color. Very carefully the wood carved details of the scene of appearance: the folds of the dress and the belt, the groove of the stone on which stands the Virgin, and the hands joined as in prayer. Two details to be highlighted in this sacred reproduction: the crown of the rosary closed by the Virgin, in which all grains have the same size and same distance, and placed the crown on the head of the Madonna who seems to have set in precious gems. 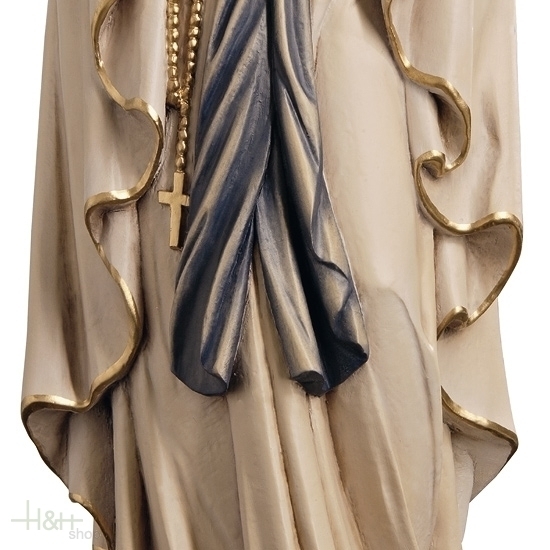 This wood carved statue of Our Lady of Lourdes denotes attention to detail that leaves nothing to chance. Excellent as a gift idea.